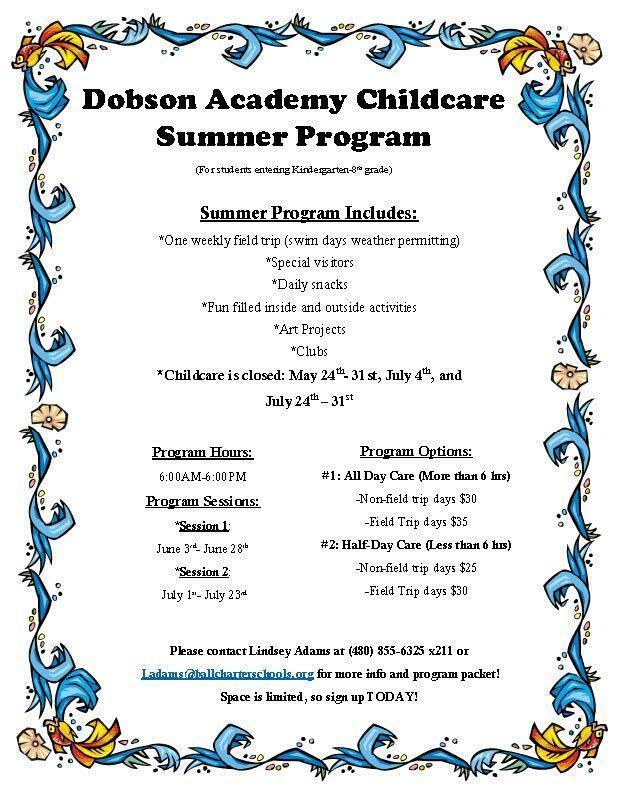 The Dobson Academy Childcare Program is dedicated to providing a safe and nurturing environment for children. We are committed to providing the best care for our students by offering a program that supports the overall health and well-being of children. The Dobson Academy Childcare Program supports strong partnerships with families and communities and works through these partnerships to provide social and cultural learning opportunities that seek to build upon individual strengths and interests. For the safety of every Dobson Academy student, each family is required to register for emergency childcare. Students CAN NOT be on campus before 8:00 A.M. or after 3:50 P.M. unless signed into the childcare program or in a club. *Emergency PM care is $10/hour and is charged in one hour increments up to $20. 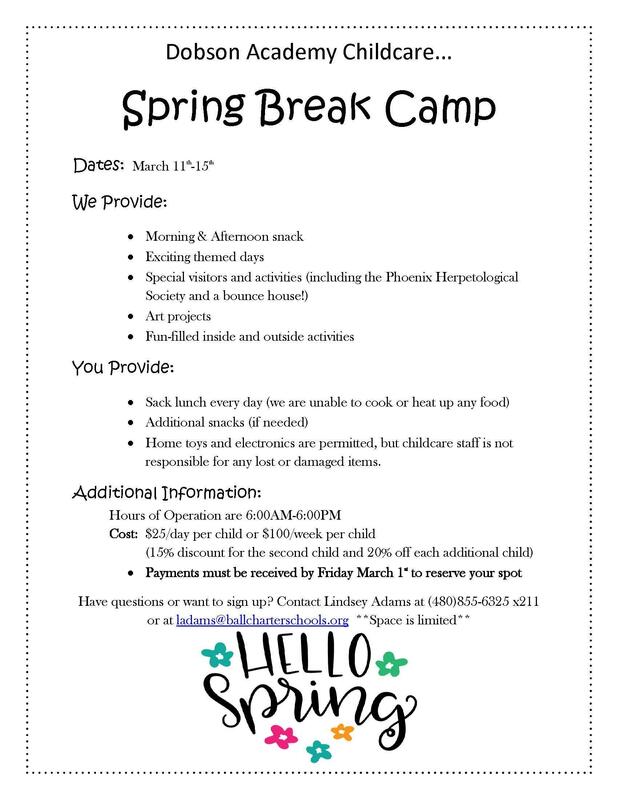 Please contact the Childcare Director for more information.